Ten x 5kg CO2 carbon dioxide fire extinguishers. These extinguishers are suitable for electrical and flammable liquid fires, as CO2 is non damaging to electrical equipment and machinery. The extinguisher is Commander branded and is the most robust type of CO2 extinguisher available in the UK. The cylinder is made from an alloy steel making a perfect combination of strength and a pleasing aesthetic experience. Supplied with non-conductive discharge horns, these extinguishers are ideal for workshop, industrial and office environments. Wall fixing brackets are also included in the package. 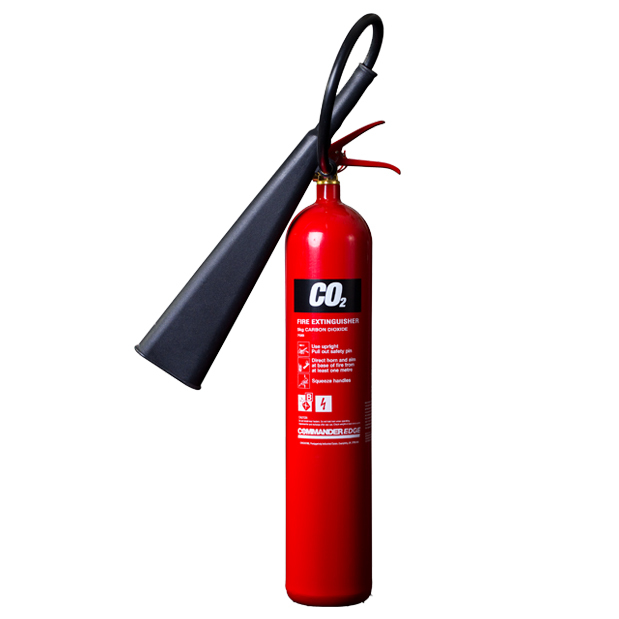 These 5kg CO2 extinguisher also come with an 89B fire rating - the highest in the UK.